Chris Warren April 14, 2019 April 14, 2019 5 Comments on Buying A Used Radio. A lot of great info in one easy click. I find a lot of information about off grid amateur radio on the internet. Unfortunately, I have to sift through a great deal of mediocre content to find one worthwhile item. 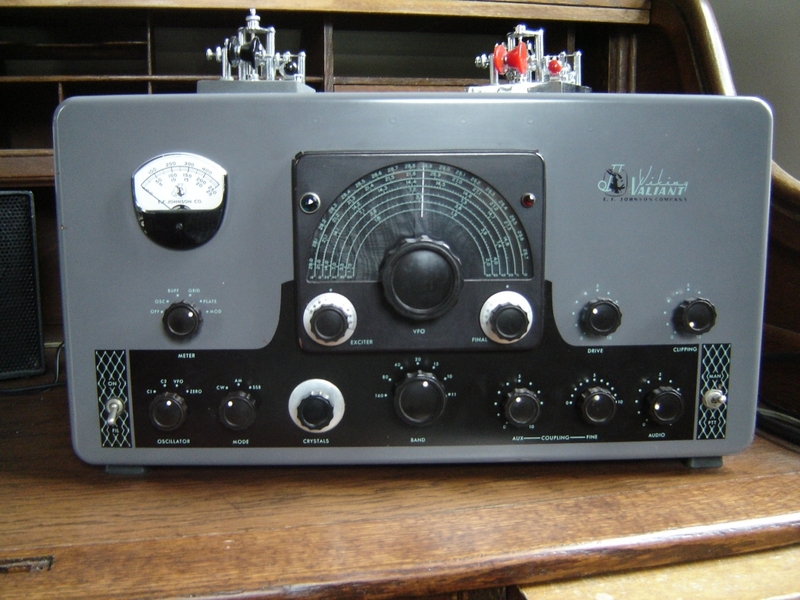 This article from the Dialtone Blog about buying a used radio is that rare “worthwhile item”. It was written with scanners in mind but it can apply to any used radio. The article includes some great photos and is an excellent investment of your time. I do have a few things to add to the Dialtone Blog’s excellent used radio buyer’s guide. Bringing known good batteries is a good idea but many radios have proprietary batteries. Unless you know you will buy a specific used radio, bringing a battery may not be a realistic option. To further complicate matters, if you are shopping at a swap meet you may not find your specific used radio. Maybe you’ll see a an entirely different rig you like better. Swap meets are a hit or miss affair. You don’t know what you’ll find, and you may end up with something that wasn’t on your radar. Unless you have very high confidence in the seller’s honesty, then assume that you’ll have to replace the battery. As Dialtone very correctly points out, a new battery may cost more than what the used radio is worth. Carefully consider the cost-benefit factors. Give it a shake, and look for signs of DIY “surgery”. Give your used radio candidates the “shake test”. It’s exactly what it sounds like: Shake the radio and listen carefully for loose parts rattling around inside. Hearing any noise warrants further investigation. PHOTO COURTESY OF THE ARRL. Examine the enclosure for extra jacks, switches, drilled holes, or other signs of DIY aftermarket modifications. If possible, open the enclosure and look for components that appear to be added to (or taken away from) the factory circuitry. Some modifications, especially on older Radio Shack scanners, are done internally and there is no outward appearance that anything was messed with. Check for burning, discolored or leaking components, and funny smells. Back in the 1980s-1990s, a guy named Bill Cheek (now deceased) wrote a wildly popular (and at the time, controversial) series of books on how to hack scanners to operate out of band, boost the audio, increase the scanning speed, add internal surge/lightning protection, and all kinds of cool tricks. I bought his books and modified many scanners for myself and all my friends. His tricks really worked and we had a serious blast. There are probably many thousands of scanners still out there with Cheek mods on them, and it’s certainly possible the current owners don’t even know it. There are hacks for a lot of other rigs too, not just scanners. If the modifications were well planned and done right, they were effective performance enhancers. At the other end of the scale, you might be stuck with a rig that worked well enough to convince you to buy it but inside it’s a butchered mess. It’s not always practical to inspect the inside of a used radio, but to the extent that you can, check for obvious modifications and ask questions. Keep in mind that a modification is not necessarily a deal breaker and may even make it more desirable. What extra items tell you…and don’t tell you. Before buying a used radio, ask the owner if they still have the original box, manual, and any other accessories. Actual hardware, like a battery charger, make the radio a more attractive buy because it’s one less thing you have to come up with on your own. Having the original box and manual seldom makes a radio more valuable (and don’t let a seller BS you into thinking it does), but it will tell you something about the owner. Anyone who bothered to save these non-essential items probably also took pretty good care of the radio. I am not saying a lack of these things means the owner was careless or should be looked at with suspicion; I’m only suggesting that having the extras is a bonus clue that owner is worth taking seriously. Consider the “hassle vs. dollars” factor. What a used radio costs should have a lot of influence over how carefully you perform your inspection. You might insist on opening the enclosure and spending time looking for problems in a $500 HF rig, but would you do the same for a $3 weather radio? I wouldn’t. A few summers ago at a swap meet, a big pile of CB radios caught my eye. Before I could even pick up the first one, the seller said I could have everything for $5. Sold! I didn’t bother looking though the box. I handed him a Lincoln and took off with my bounty. Most of what was in there was crap, but buried at the bottom were two beautiful A+ condition Cobra base stations with microphones. The point I’m making is that yes, you should carefully look over a used radio before you put down any real money. But at the same time, if it does not involve “real money”, then why not take a chance? Don’t dedicate a lot of effort to vetting small time deals. So you did your due diligence and found the perfect used radio. As with any used item, there is always a chance something was missed. If you want to buy but still have concerns, ask the seller if they would agree to a trial period where they would take back the rig and refund your money if it does not work out. Most sellers will decline, but some will go for it and it’s worth asking if there is a lot of money involved. Radios sometimes do not show symptoms of trouble until they have been powered up for a while. Sellers will freely disclose when a radio has not been used in years and they’re not sure what it will do. The phrase, “it worked last time I used it” is often heard in amateur radio circles, even if they will not admit “the last time” was 1983. By the way, a sellers’ refusal of a takeback agreement is not a red flag that they are dishonest. They are thinking about the “hassle vs dollars factor” too and might rather sell the radio for less money to someone else who is not as demanding. It’s ok to ask for a takeback, but don’t read too much into it if they say no. Except under ideal circumstances, assume you will need to buy a new battery for your used radio. Give the potential rig the “shake test”. Examine the enclosure, and the insides if possible, for modifications and poorly done repairs. A used radio that has been modified should not be automatically rejected. Some mods can make the radio more desirable. Extra items such as the original box and manual imply that the seller took good care of the radio. Listen to your wallet. Consider the “hassle vs. dollars” factor. Anyone who was into radio in that era probably knows who Bill Cheek is. As I recall, the books were quite expensive. Today you can get them for about five bucks. I don’t know what happened to my Cheek books. I don’t remember getting rid of them but I can’t find them anywhere either. Maybe they’re in a box at my parents’ house. Thanks Chris. You’ve covered all of the important points when looking at used equipment. I’ve been pretty lucky when buying used gear. I’ve never actually been burned when buying used radio gear. The best general coverage receiver by far that I have is a Hallicrafters that must be pushing 70 years old that I picked up for about $125 at a hamfest. Hi Randall, most radio folk are honest. I think most of the trouble comes when either the seller doesn’t know much about what they are selling, or the buyer misunderstands/has unrealistic expectations. In 35+ years of being in this hobby I’ve never personally experienced outright dishonesty, but I have seen it elsewhere, especially with on line transactions. The worst deal I ever got involved with was when I bought a Motorola radio with the intention of using it on 440. I think I paid like $35 or $40 for it. It was really a business band rig, and I knew that when I bought it, but the seller said it could be reprogrammed for the 70 cm ham band. He was right, but it was way more trouble than it was worth (there’s that “hassle vs. dollars” issue again!). I ended up selling on eBay for about $10 less than what it cost me, so I didn’t exactly lose my shirt on the deal. I do not think the seller was dishonest. I think neither of us knew what we were dealing with! You’re right – most people are honest. I can’t remember anyone ever deliberately trying to deceive me when I’ve bought used equipment of any type. There were some issues now and then, of course, but in almost every case that was because of a misunderstanding or the seller really didn’t know there was a problem. Sometimes you just don’t know. My TS-990 has a problem transmitting PSK and RTTY, but since I use an external computer, software and sound card interface, I wouldn’t even know it has a problem if I hadn’t tried actually testing it one day. I could have easily missed that if I ever sold it and the new owner could accuse me of selling him a defective unit. That brings up an interesting point – how long is modern equipment going to be useful? I have receivers and transmitters that are 40+ years old and they still work fine and work within their factory specifications. But how long is something like my TS-990 or the Yaesu 9000 or other high end, heavily computerized transceivers going to last? With the specialty software, custom made chips, computers, surface mount devices and other speciality materials that are in modern transceivers, I rather doubt that they’ll repairable for more than a few years after the companies making them run out of parts.